Boracay, the island off the coast of Aklan in the Philippines, has seriously made quite a name in the list of the top beach tourist destinations this year. Gaining the top spot and overtaking Bali and the Caribbean, Boracay beach resort is definitely a place to visit either for adventure or vacation. 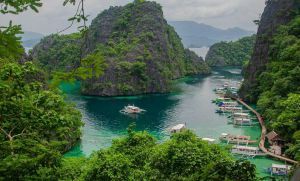 And since it has a very long stretch of white sand beaches, tall and gigantic palm trees that provide shade by the shore, beach and marine water activities, it is no doubt that Boracay is the best place to be when thinking of adventure. But apart from these usual activities, it is also the perfect place to indulge underwater. 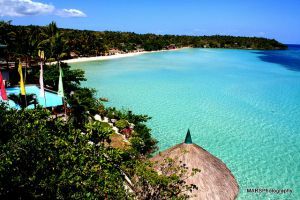 Yes, Boracay boasts of such underwater adventure like reef walking, scuba diving, and snorkeling. Reef walking, also known as sea walking, is the newest underwater activity that is captivating the hearts of many vacationers. The fun part is that you do not have to be a skillful swimmer or a swimmer at the very least to enjoy this. You only have to put on the helmet that will enable you to breathe underwater and enjoy the rest of the gang of marine life. Unlike snorkeling where you can only stay at the surface of the water for air, reef walking will allow you to literally walk on the sea floor and be amongst the schools of fish of a variety of colors. Take note, you will be submerged 25 feet below the water surface! Best of all, you can get back on your boat without wetting your hair. When indulging in this activity, it would be best to bring your underwater camera to capture the life in the midst of the marine animals. Also, do not forget to wear your most comfortable swim wear for the ultimate experience. Scuba diving is another fun and thrilling activity to have while in a Boracay beach resort. There are quite a number of diving shops and centers on the island that are ready to help you out with this activity. They can provide you training as well as dive instructors who are only the best in the sport. They have equipment that you can rent which, of course, meet the standards of safety. The usual rate for a dive is $33. Boracay has some of the world’s best diving sites whose coral reefs will amaze you. Among these sites include Yapak and Camia which are recommended for experienced divers. The Crocodile Island and Laurel Island also boast of being the best sites for taking macro pictures. This is yet another fun water activity to do. While in a Boracay beach resort, you can just take your goggles and snorkel and explore the shallower parts of the ocean. But if you prefer the more challenging, deeper, and exciting ones, then you can opt to get a package or the guided tour. Other activities that you can do while in Boracay are windsurfing, sailing and boating, parasailing, kitesurfing, all terrain buggies, mountain bike riding, and trekking for the more adventurous ones. For those who prefer the lighter and more relaxed activities, you can opt to shop, walk along the beach, try out the different restaurants or laze by the beach. No matter what you want to do, make sure you stay at a very nice and affordable Boracay beach resort. That would have to be 7 Stones Boracay Beach. It has designer furnished rooms and apartments which can give you that relaxing time as it is located in a serene and private area of Bulabog. Its views are breathtaking and its amenities are among the best. A five-star hotel, it will surely give you your money’s worth! Richard Crest: Families should book their boracay island getaway at 7Stones Boracay Suites Accommodation. It offers you nothing less than the luxury and exclusivity of a perfect boracay beach resort getaway.